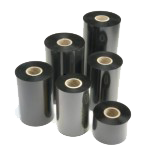 Premium wax/resin ribbon offering broad performance characteristics and smudge resistance. these ribbons produce a high-quality image on the broadest range of materials. Superior scratch and smudge resistance. Very good printing quality at high speeds. 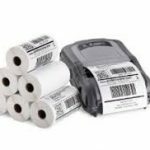 Sharp edge print quality to maximize bar-code-scanning rate. Extreme versatility. 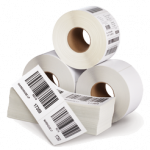 Recommended Applications: Inventory, shipping, pharmaceutical, retail labeling, point of purchase, storage, lumber tags and electronic labels. 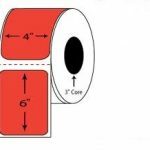 Be the first to review “Datamax Thermal Transfer Ribbon (5.98″ x 1181′, Wax/Resin, 554C Green, CSI, 7 rolls available)” Click here to cancel reply.